Area 51 is a household term describing a breeding ground for conspiracy and top secret cover ups. Although officially, our government denies its very existence, Area 51 has become part of our popular culture, inspiring books, films and TV shows. But to truly understand the Area 51 mystique, we must look beyond the extraordinary claims and conspiracy theories. Yucca flats, Nevada also known as Survival City, was a testing ground for the U.S. Atomic Energy Commission in a time when our country was under the paranoia of the cold war. This was a time when Area 51 was literally carved out of the Nevada desert as one of several areas set aside for atomic testing. Now known as the Department of Energy (DOE), the Atomic Energy commission grabbed the land now occupied by Groom Lake, and Area 51 airbase in the early 1950’s for nuclear weapons testing. At the time, south central Nevada was uncontested land, a place that no one cared about much at all. The land was mapped out and divided up into big boxes and the grids were named starting with Area 1. The dry, alkaline lake bed, Groom Lake was in a location labeled Area 51; while the maps are no longer used, the name Area 51 stuck and is still known by that name today. In the spring of 1955, the area in grid # 51 took on a much larger role in our government’s dealings with the Soviet Empire. Lockheed Aeronautics Engineering Genius Kelly Johnson designed America’s first super secret spy plane that year, the U2. A place was needed to test the new covert creation and spoke with a trusted friend, civilian test pilot, and the man considered by some as the true father of Area 51, Tony LeVier. Tony LeVier searched for the perfect dry lake as he knew that dry lakes were the best natural landing fields ever devised for experimental flying. LeVier knew that Groom Lake was a 10 plus and was the perfect location. The CIA was working at a facility some 40 miles away, and as they had all the necessary equipment and agreement was made for them to build the base. America’s most Top Secret facility, Area 51 was born and a few weeks later, the U2 spy plane was undergoing flight testing. The U2 spy plane became Americas #1 resource for gaining information about the Soviet Union. Built for the CIA, the U2 was built by Lockheed Martin and capable of producing high quality, aerial images of enemy installations from as high as 80,000 feet. Although the U2 was actually a spy plane, a cover story was disseminated that it was being tested at Groom Lake for high altitude weather research for the National Advisory Committee on Aeronautics; a predecessor to NASA. The aircraft were even painted with false NACA markings in the event that one should crash offsite. The U2 flew dozens of clandestine missions with total anonymity over several years bringing back vital photographic proof regarding Russia’s nuclear weapons buildup. In May of 1960, a U2 spy plane piloted by Francis Gary Powers was shot down over Russia and was part of a showcase trial. The crash occurred about 5 days prior to a summit meeting coming between Eisenhower and Khrushchev, a very sensitive moment in time. Powers was convicted of spying by a Soviet court and sentenced to 10 years in prison but he was later released in exchange for a soviet agent in US custody. The intelligence gained by the U2 efforts is credited as saving the US from World War III. After the U2 project was completed, Groom Lake was used for testing the A12 spy plane which was built for flying above 80,000 feet in excess of Mach 3. The A12 is the predecessor to the SR71 Blackbird, which is still flying today and used for high altitude military reconnaissance. As enemy technology advanced, and even our most sophisticated aircraft became vulnerable, the clandestine projects at Area 51 took on an urgent and surprisingly new direction. A new kind of aircraft was being tested in the dark skies above Area 51. Reportedly, various American agents were able to gain access to various Russian aircraft and radar technology and the hardware was taken to Area 51. Backwards engineering of Russian technology was not the only major secret being contained at Groom Lake. In the 70’s, the era of Stealth began with what were known as “Blue planes”. Also known as technology demonstrators were being built and flown. Another program known as “Tacid Blue” blue projects which gave rise to Americas most top secret aircraft to date. For years, there were reports of strange black wedges piercing the skies above Groom Lake, along with rumors of stealth aircraft, decades ahead of its time. For once, it seemed that rumors about Area 51 were more factual than fictional when in 1988, the US government unveiled the B2 stealth bomber and the F117 stealth fighter. The stealth program held true to the idea that keeping new technology a secret as long as possible will help to keep the enemy from getting an advantage over that technology. During the testing of the F117, everything involved working at night. Everyone involved adapted to living and working at night, even the pilots dressed all in black. The secrets of Area 51 continue with the development of the alleged, high tech aircraft known as the Aurora. Based on revolutionary technology, this aircraft is said to fly at 6 times the speed of sound, and can attack with pinpoint accuracy. Area 51 would be the perfect place to build and test such an aircraft as it would require a large tract of land and big base to support it. The US Government insists that such an aircraft does not exist at this time, but indeed would be very nice to have in its arsenal. In 1996, the state of Nevada officially dubbed route 375 as the Extraterrestrial highway due to the countless sightings of UFO’s by residents and visitors to the area. The whole UFO and alien connection can be traced directly to MIT graduate and physicist Bob Lazar. Bob Lazar went public in 1989 with a claim that he been involved in a project to backwards engineer a captured alien spacecraft. The media went wild his story about working at an area known as S4, which was built into the side of a mountain launching the continuing stories that aliens and alien spacecraft are being held and tested at the airbase. The nearby town of Rachael Nevada has transformed into a Mecca for believers and non believers alike. The little Alieinn has become a hot spot for visitors to trade stories and theories about UFO’s and aliens alike. In August, 1997, the CIA released a report that the thousands of UFO sightings since the 1940’s was used by the government to cover up actual military testing. Many believe that the report is more disinformation in order to get people to think that there was nothing to the UFO story and stop investigating such stories. Area 51 is a very hostile region ringed by mountains unbearable heat and the far reaching security forces. The border around the base is not fenced, and is poorly marked, but it is laced with sensors, cameras and other electronic media for tracking all visitors. The area around the base, even public land so advanced that the even odors of any visitor can be detected and determined to be human, animal, or other. 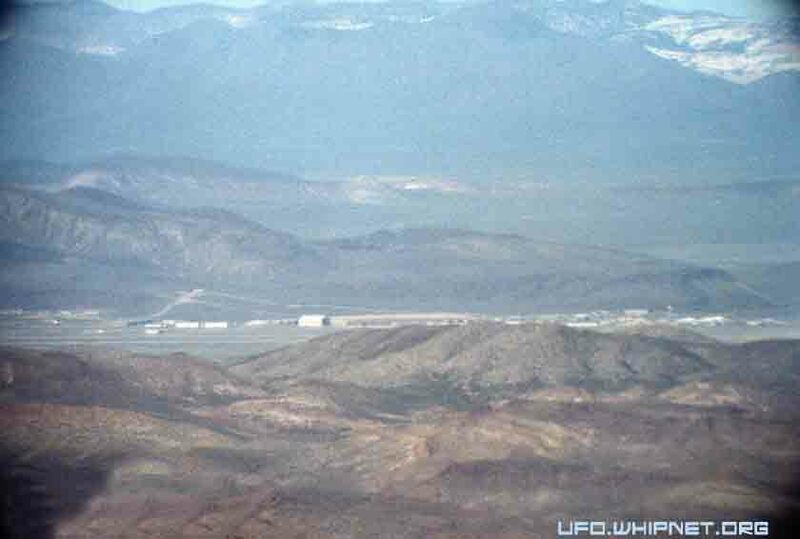 The government is very protective about whatever is going on at Area 51, any encroachment upon the area is met with extreme prejudice and brute force; this without ever having reached the most remote guard shack. Area 51 has recently increased security in an ever expanding perimeter. There are 2 mountains where onlookers could view the airbase until the Air Force was granted a 4000 acre increase into the restricted area. The two mountains, Freedom ridge, the other is Whitesides Mountain which are 11 and 12 miles away, respectively, The next nearest mountain is 26 miles away to Tikaboo peak if you want to see Area 51. After 40 years of denial that the base actually existed, the US government actually acknowledged the existence of Area 51. Clinton’s Area 51 Exemption, officially, Presidential Determination No. 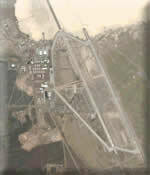 95-45 served only to increase the secrecy around Area 51. The document was originally scheduled to require annual renewal, and gave the agency the prerogative to not answer certain questions regarding the base.